Switching Power Supply, compared to Linear Power Supply, is widely used due to its advantages, such as small size, light weight, high efficiency, etc. Flyback Converter, one of the switching power supply topologies, is most suitable for power supply systems that are below 150W because of its unique features of isolation between primary and secondary sides, simple circuit architecture, few components, low cost, etc. 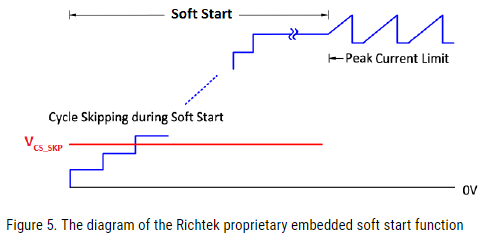 Since switching power MOSFETs play a very important role in switching power supply converters, how to effectively eliminate over-stress of MOSFET during the start-up of flyback converters will be the main focus to be discussed in this application note. The three major aspects to be investigated are flyback controller design, feedback stability, and Snubber design. This entry was posted on Sunday, November 11th, 2018 at 1:00 pm	and is filed under app notes. You can follow any responses to this entry through the RSS 2.0 feed. You can skip to the end and leave a response. Pinging is currently not allowed.